Spring has tentatively arrived in New York after having a second winter in March. The poor little flowers had several false starts and I fear many of the millions of tulip bulbs planted in the autumn will not make it. 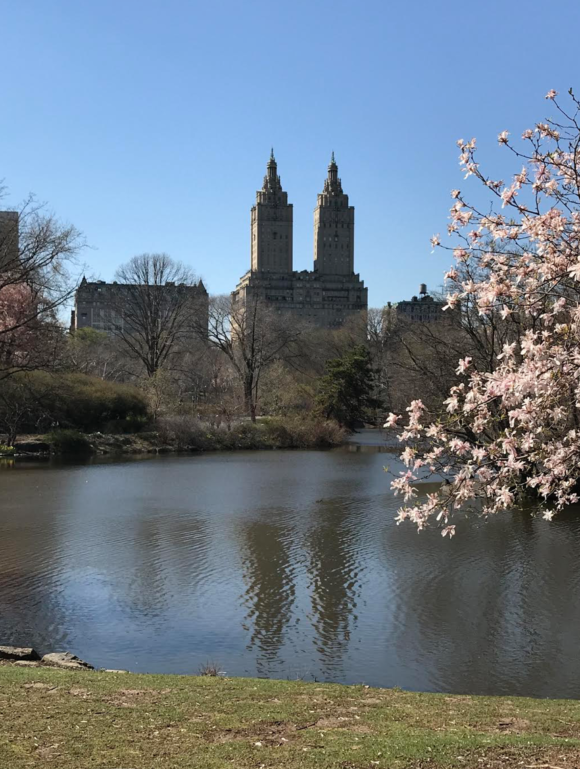 The cherry blossoms are in full bloom in Central Park and daffodils are still hanging in there, thanks to the still cool temperatures. 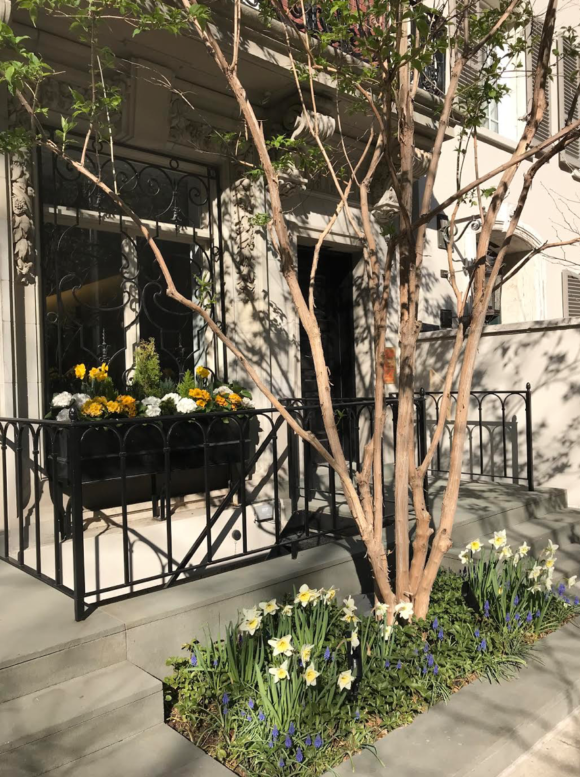 Here are photos taken on the Upper East Side of Manhattan on a blessedly sunny day to celebrate springtime in New York. 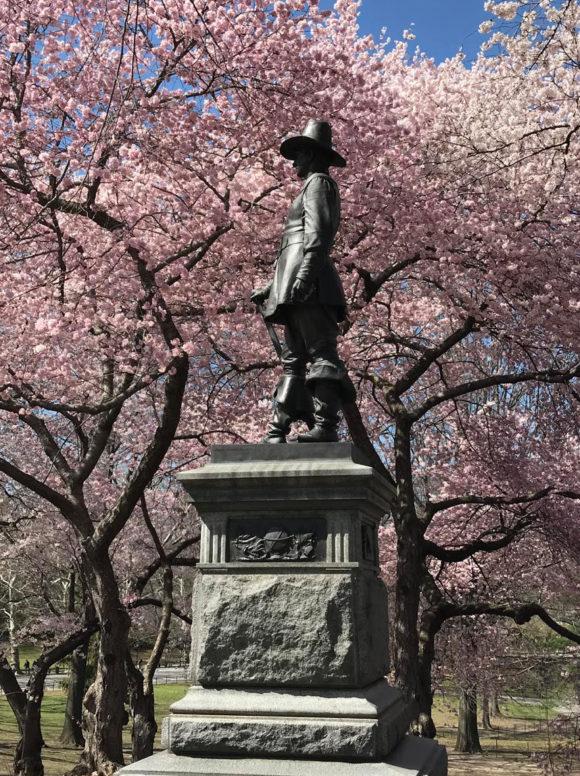 First photo, cherry blossoms in full bloom in Central Park. 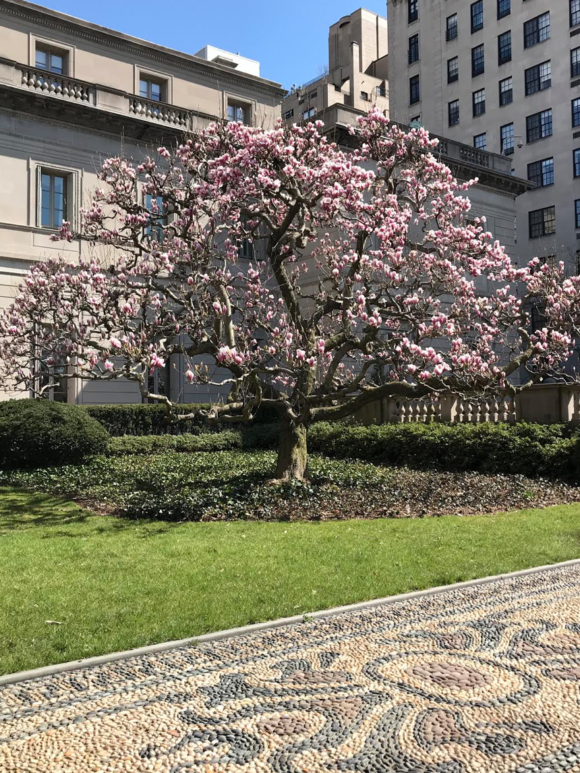 Photo above, one of a pair of gorgeous magnolia trees that grace the front of the Frick Museum. 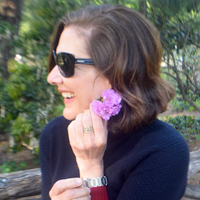 Aggressive pruning made them a bit sparse this year. 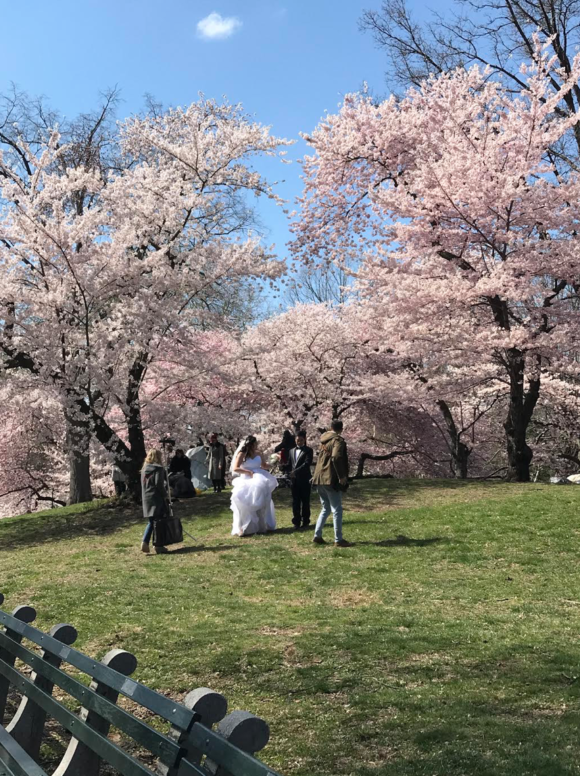 Sun and cherry blossoms lured brides outside for photos. One of my favorite views coming back to life. 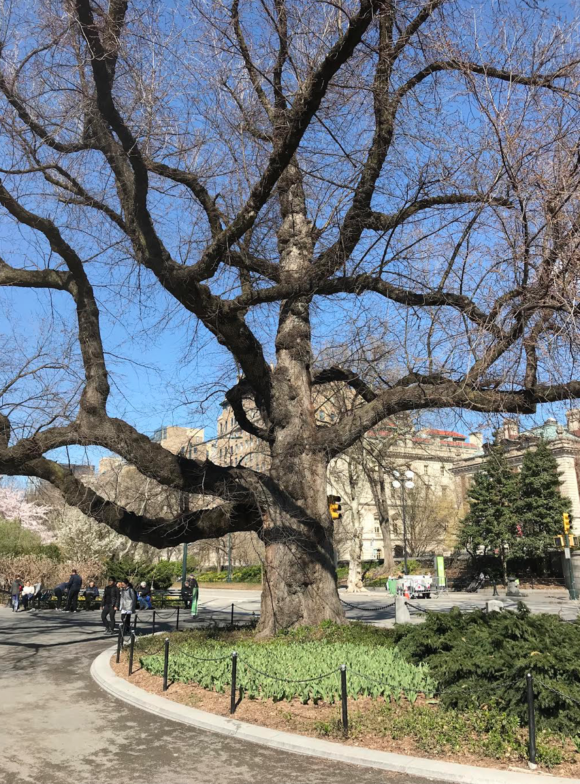 How have I never taken note of this magnificent tree before? 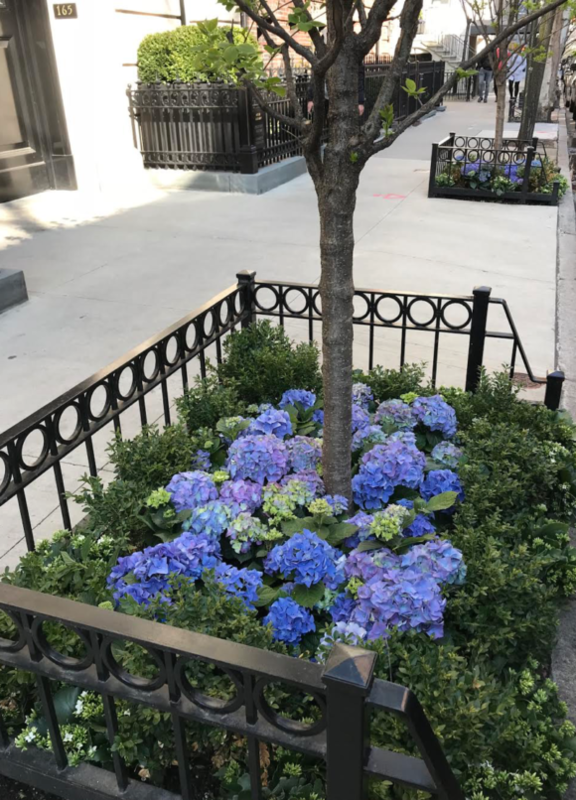 Located near the 90th Street and 5th Avenue entrance. 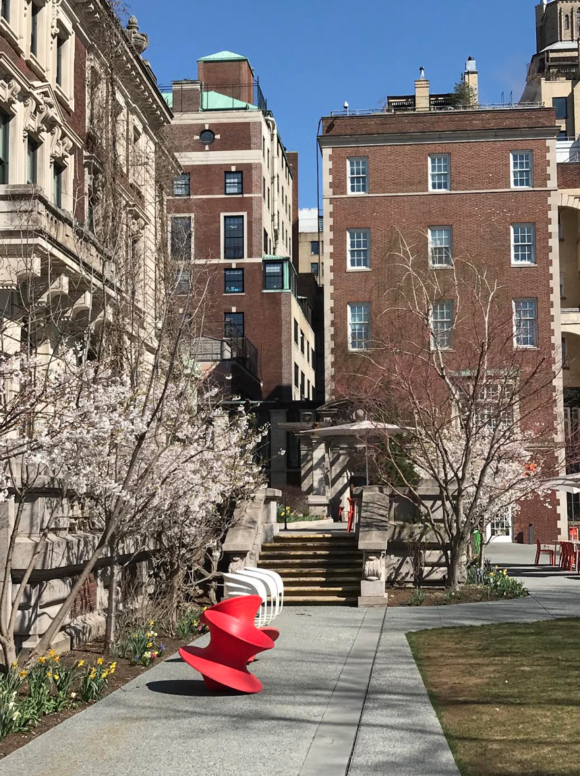 The garden of the Cooper Hewitt has a cafe with lovely outdoor seating. 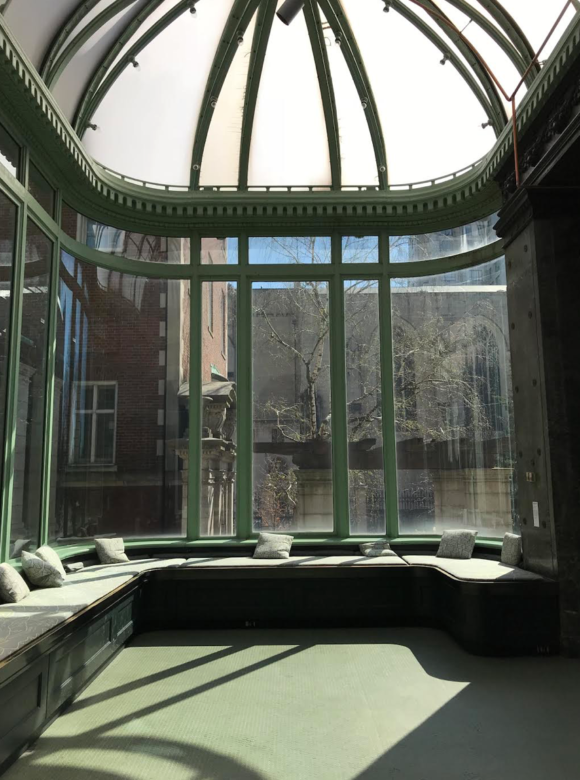 The sunroom in The Cooper Hewitt, the building is a 64 room Georgian mansion formerly the home of Andrew Carnegie. 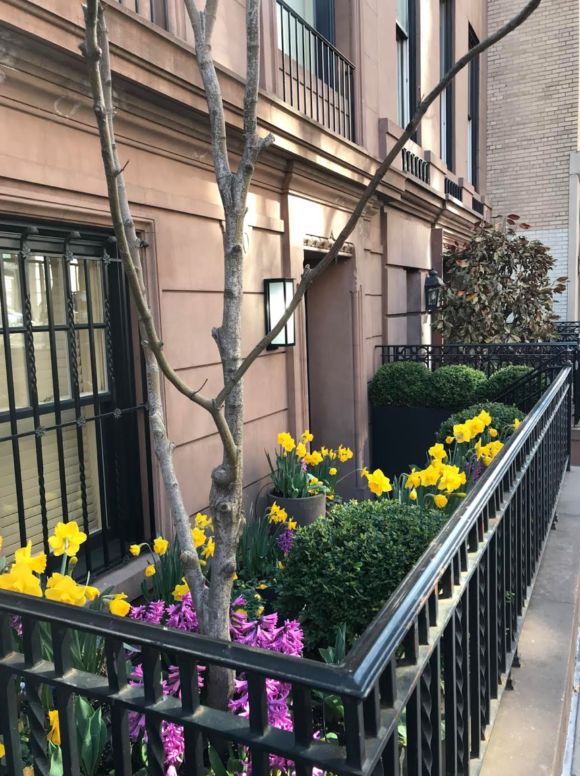 Nothing says springtime in New York like a brownstone garden in full bloom. 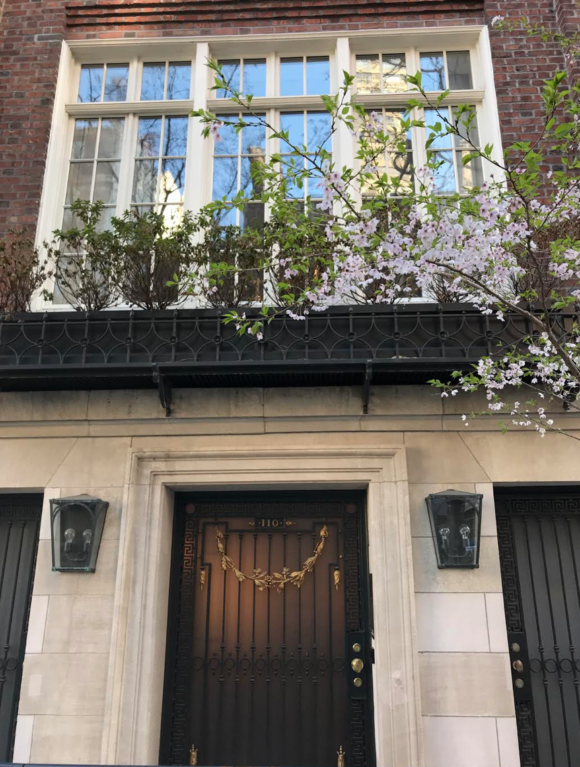 A restrained garden color palette to match the building. A spray of blossoms overhead. 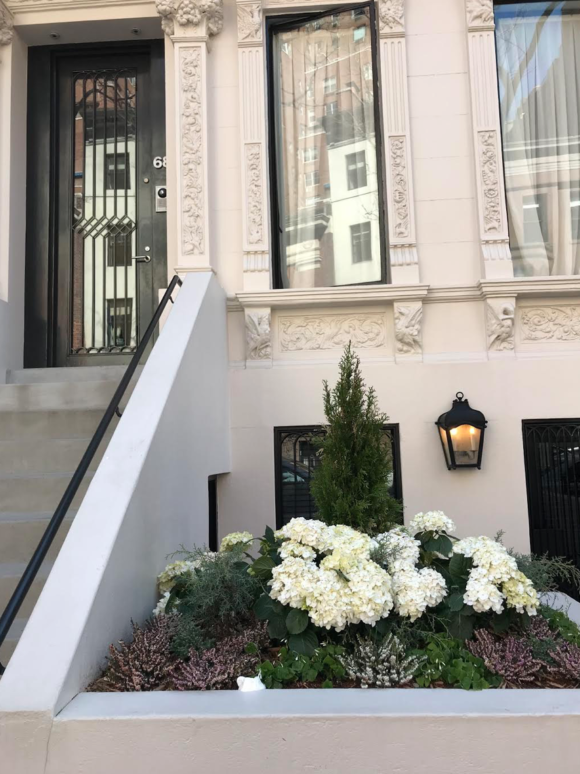 The upper east side has some of the most charming curbside gardens. 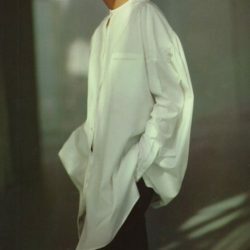 All photos by Jolain Muller.